The Wisconsin Middle School Bowling Club is excited to announce our continued partnership with 900 Global and 3G. 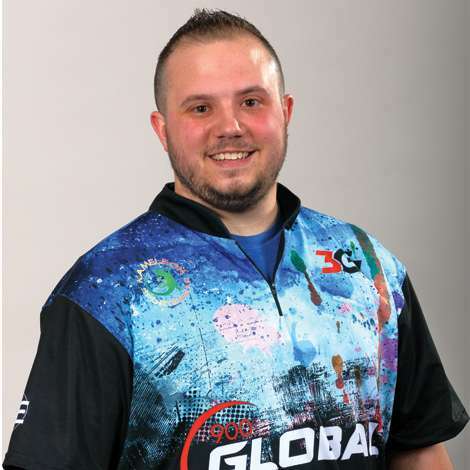 As sponsor of the WI Middle School State Championships being held on May 4, 2019 at The Ashwaubenon Bowling Alley in Green Bay, we are looking forward to meeting rising star Anthony Lavery-Spahr. Anthony is a 900 Global and 3G World Staff Brand Ambassador. Originally from Warwick, RI, he currently resides in Dallas. Joining the PBA Tour in 2013, he has made a steady climb through the years. Folks may have seen him last month when he made his first television appearance finishing third with Sam Cooley in the Mark Roth – Marshall Holman PBA Doubles Championship in Shawnee, OK. When not bowling on the PBA Tour Anthony enjoys bowling leagues to stay sharp, averaging over 500 games a year. Being from the New England area, it’s no surprise he follows the Boston Red Sox and New England Patriots, but we’ve assured him we will welcome him with open arms when he comes to Titletown! 100 plus USBC 300 and 800 series. Thank you to 900 Global and 3G for their continued support of youth bowling here in Wisconsin. We hope folks will come out to meet Anthony!